1) Open up GeoGebra 3D app on your device. Press AR button to activate Augmented Reality. 2) Go to MENU. Select SEARCH. Type gagsx5fv access this resource right away. (Note how this ID can be found in this URL). 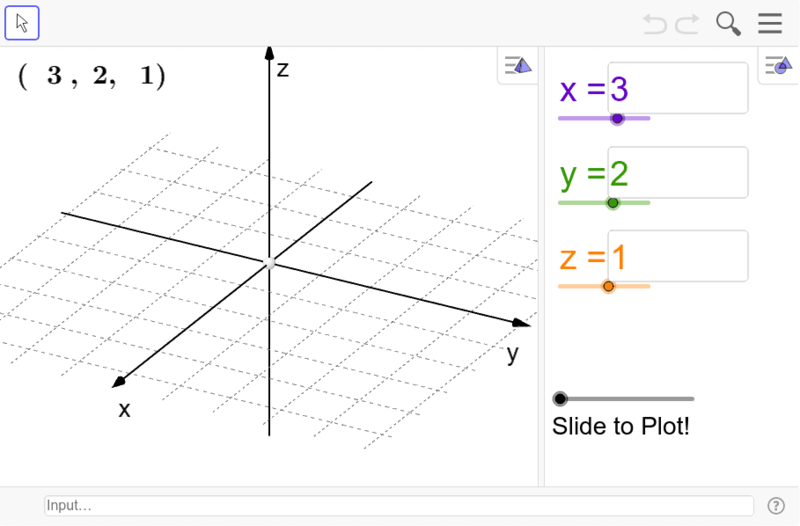 3) Note the sliders that exist in the algebra view. a = x coordinate b = y-coordinate c = z-coordinate 4) Move the slider plotpoint to plot the point (a, b, c).